Start a keepsake collection today! Start a keepsake collection today! 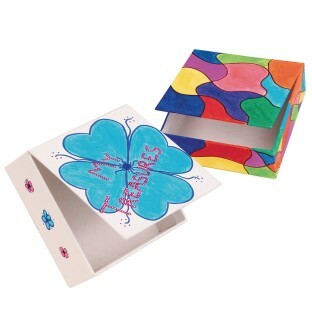 Color with included markers and store coins, stickers – whatever – in super sturdy 4-1/2" sq. 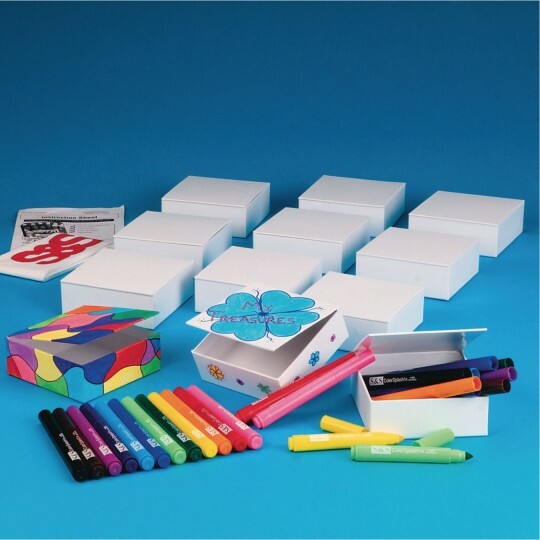 x 1-3/4"H cardboard boxes with flip-open lids.